Ulrich and Yumi bear witness to strange phenomena... They resemble spectre attacks but they're too fleeting for the teens to be certain. On Jeremy's Holoscan towers are activating and deactivating sporadically in the different Serctors. Another one of XANA's tricks? 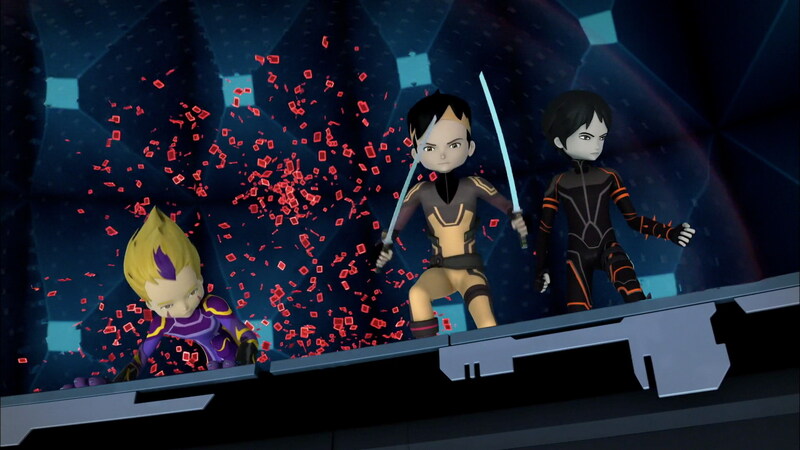 ...things become apparent on Lyoko...XANA is in trouble! At the sam time, Jeremy detects abnormal activity in the Cortex. 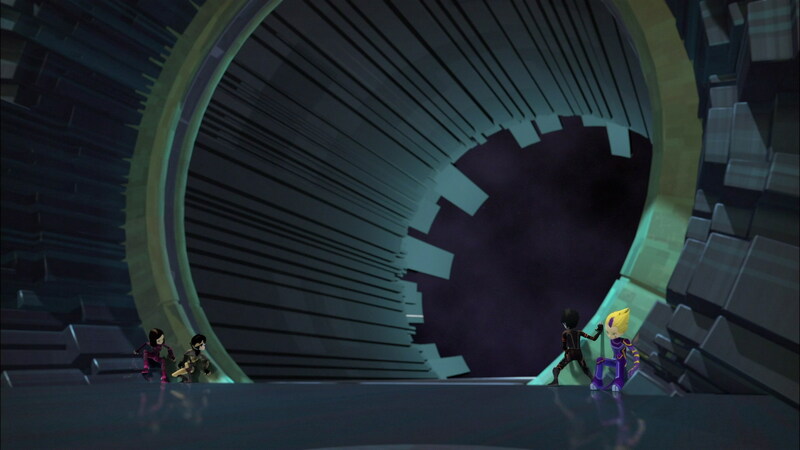 Once there, the Lyoko Warriors discover, stunned, that XANA is in the middle of attacking Ikonov's Supercomputer! While brushing his teeth at dawn, Ulrich witnesses a strange phenomenon. A spectre starts to appear before him…then disappears all of a sudden! Talking with his friends at breakfast, he learns that Yumi witnessed something similar. 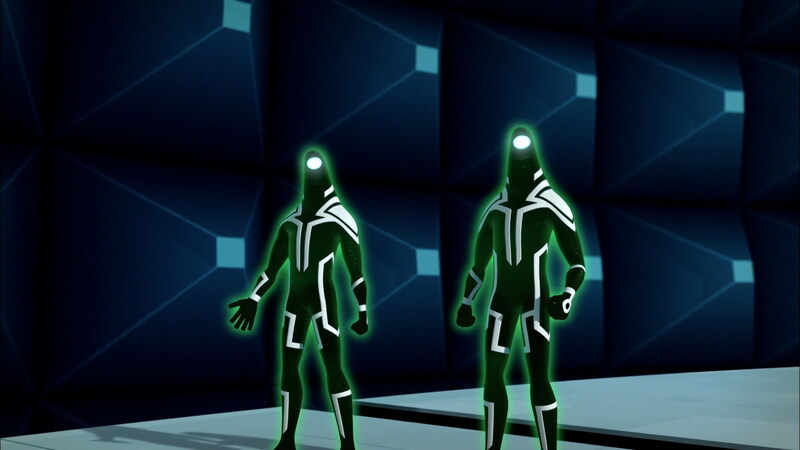 As usual, the heroes conclude that the factory is where they’ll find the solution to their enigma. A second problem arises. In the secret passage in the park, they’re caught by Laura who tags along, despite Aelita’s sharp remarks. Arriving at the factory, the heroes happen upon a strange occurrence. Towers are constantly being activated and deactivated. Odd and Ulrich virtualise into different Sectors to check things on site. They roam the Sectors while the group of geniuses check the Superscan. Laura and Aelita take advantage of the time to take jabs at one another. But the result is the same: towers are activated one second and deactivated the next. Yumi and William, staying at Kadic for a test, are contacted as reinforcements. During a conversation between Jeremy and Odd, Laura hears them talk about Franz Hopper. She asks questions about him and is brushed off. She then leaves the lab, claiming she has a project to finish. 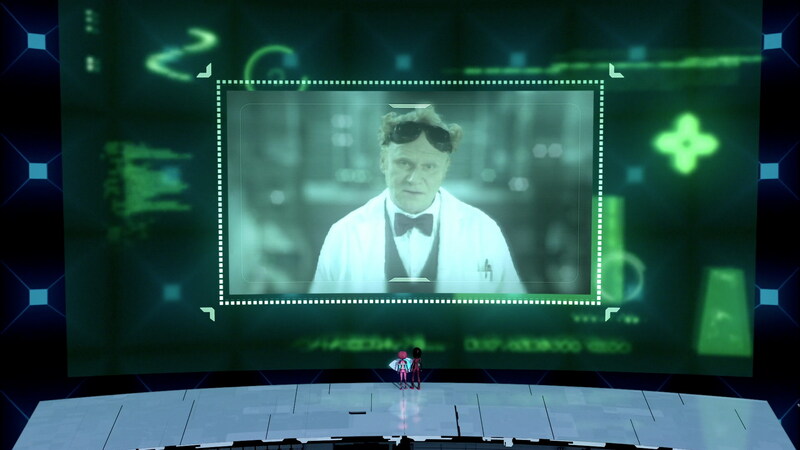 Jeremy sends his virtual friends to the Cortex. 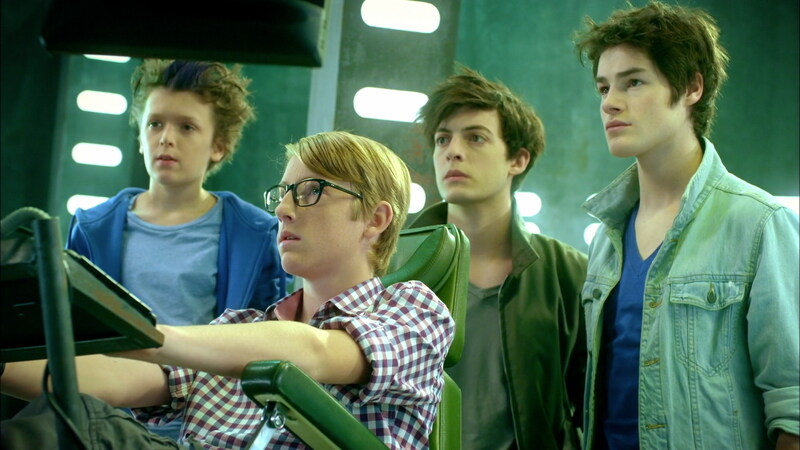 Odd, Ulrich, Yumi and William enter the Skid and travel through the Digital Sea. Aelita returns to Kadic to see what Laura is doing. She catches her in the middle of researching Franz Hopper. A new aggressive exchange between the two girls follows. 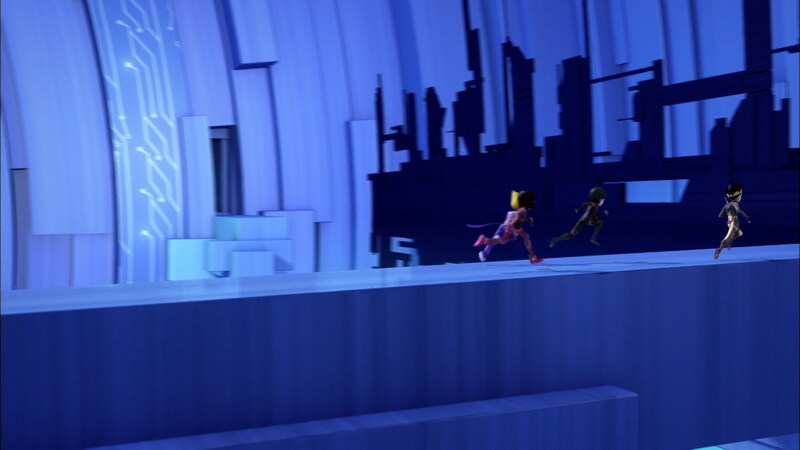 In the Cortex, the virtual fighters make a surprising discovery. A Krabe and a Ninja are fighting each other at the entrance to the Core. Obviously, XANA is attacking Tyron. The Krabe takes care of the Ninja and enters the Core, followed discreetly by the heroes. In the Core Chamber, a veritable army of XANA’s monsters is bombarding the Ninjas, who are defending the interface at all costs. A Krabe spots the heroes and devirtualises Yumi in one hit. A battle engages on three fronts. 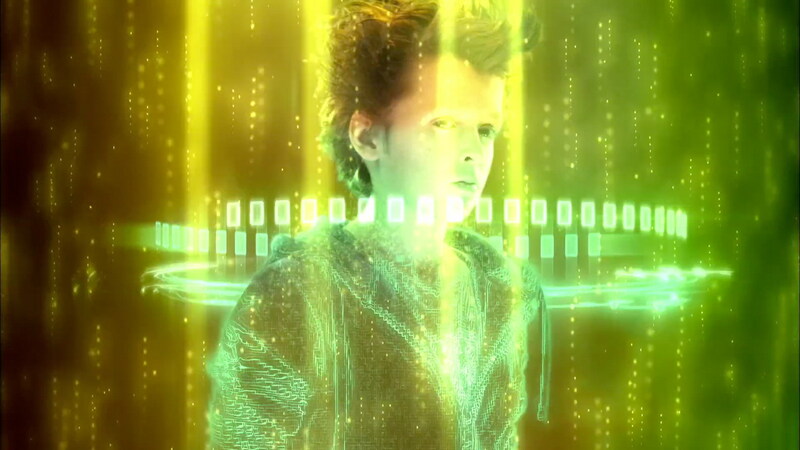 William is devirtualised in the mêlée that follows. Odd eliminates XANA’s last monster and is devirtualised by a Ninja just as he destroys it. Ulrich overcomes the final Ninja with Supersprint. Ulrich can then insert his card in the Cortex’s interface. Jeremy analyses the data. XANA is attacking Tyron because the man had performed an update on his Supercomputer. This interfered with and aborted XANA’s attacks. Jeremy realises something… Maybe Tyron isn’t aware of XANA’s presence on his machine… The heroes then decide to warn him about the danger the AI presents. A message is sent requesting a meeting. Tyron responds a few hours later. Aelita and Yumi go to the Cortex. Tyron appears for a videoconference. He claims he has no knowledge of XANA. 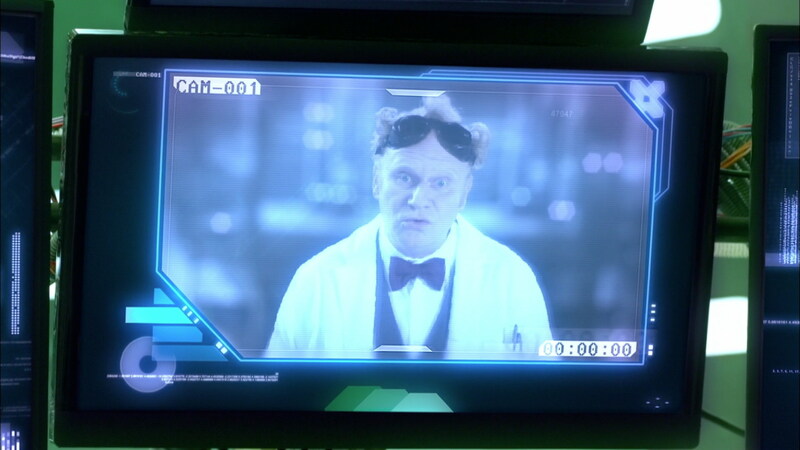 When the heroines warn him about the danger and the fact that it lives in Tyron’s Supercomputer, the man becomes furious. He sends two Ninjas who try to virtualise Aelita and Yumi forever by using encoders. Jeremy must devirtualise them. Mixed results. Tyron obviously doesn’t want to listen… Nonetheless, Jeremy recovered some lines of code in his update that can help them in making the virus to destroy XANA. - Attack: None. Attacks aborted because of Tyron. - Tyron, unless he was lying, doesn't know that XANA is living in his Supercomputer. He has managed to bug up the artificial intelligence. - First discussion between the heroes (Aelita and Yumi) and Tyron in the Cortex. - Ulrich makes a sabre reappear in his hand after throwing it. - First time Yumi pilots the Skidbladnir in Evolution. 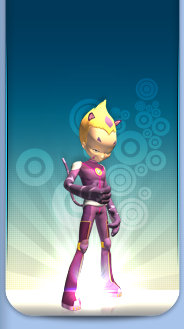 - The Ninjas use a power to immobilise the Lyoko Warriors and virtualise them forever. 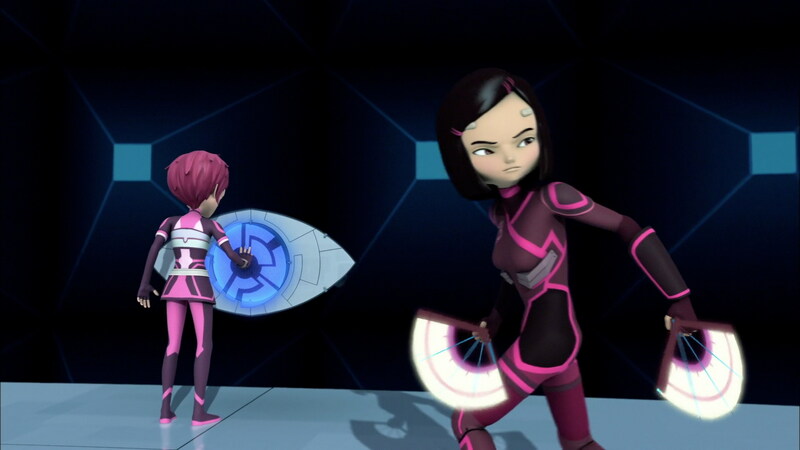 They didn't succeed however, as Jeremy devirtualised Aelita and Yumi in time. - Laura hears about Franz Hopper and does some research on him. She understands that he's the creator of the Supercomputer and Lyoko. - This episode was obviously meant to come before episode 15 “The Codeless”. XANA is at 80% power instead of 85% and Odd can still deactivate towers. - When Ulrich brushes his teeth, he does it with his right hand. When he turns to see the spectre, he's brushing with his left hand. - There's an error between the moment Yumi and William enter the lift and when they arrive in the scanner room. They're not wearing the same clothes as they were before. - Aelita mentions Laura's father. He appeared in episode 15 “Chaos at Kadic”. Laura: What are you doing? Aelita: What do you think? Laura: You're going to the lab? Aelita: And I imagine that you want to come with us? Jeremy: It's a good idea, if something strange is happening, we may need you. Odd: Let it go, Ulrich, I feel like I'm going to get this one. I'd better not strain a muscle. Ulrich: May I remind you that you're an avatar? You can't strain a muscle. Odd: You always need to be careful! Anyway, I'll beat you in no time. I'll already be there before you've even crossed the starting line! Jeremy: A tower has just been activated in the Mountains. Over to you now, Ulrich. Odd: No! That's so not cool… I was all warmed up. Odd: You know what? To be honest, I'm not too bad over here and I might even take advantage of this to take a little nap. Jeremy: Odd! It's for you this time, another tower has just been activated in the Desert. Hurry! Laura: You're kidding yourselves. With such ridiculous attacks, XANA's not dangerous at all. 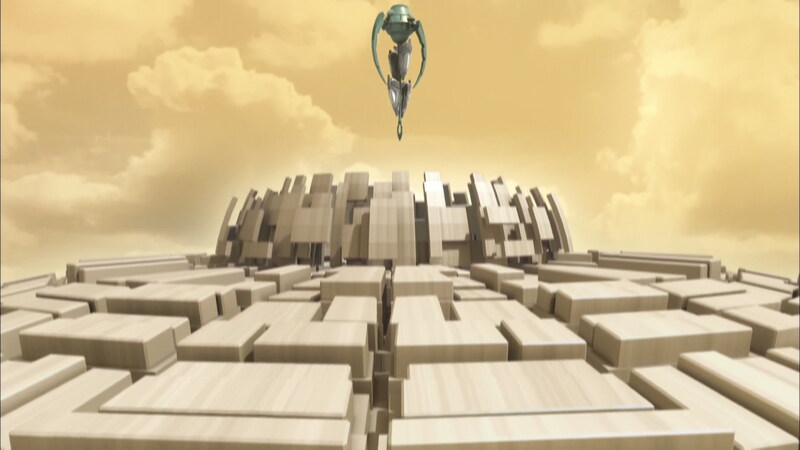 Aelita: XANA is still dangerous. It's just that it's not being logical. Laura: Just because you don't see it that doesn't mean it doesn't exist. For real scientists, logic is the foundation of science. Aelita: Yes, but logic is all that remains for people without any imagination. Odd: Yahoo! I've got a nice welcoming committee over here: three large, juicy Krabes. Normally I'd prefer them with mayonnaise, but well, I also like them plain. Ulrich: Odd, hang on, I'm coming! Odd: Don't bother, good buddy. I feel in great shape today! Bye-bye little Krabes, and I'll take care of the tower. Jeremy: Now, you'll have to be my eyes and ears. I need to see and know everything. Odd: No problem. Well, next to me, there's William, and behind, uh, I don't know what the others are doing. They're probably holding hands. Odd: Me? Not diplomatic? Definitely more than William. William: I only get annoyed when Ulrich is bothering me. Ulrich: Hey, you're bothering for me. Jeremy: Stop! I've said that Aelita and Yumi are going to the Cortex and that's that. Odd: It shouldn't stop at towers and Krabes. If XANA as a whole would be shut down for good, we'd finally get a holiday! Yumi: We spend our time trying to infect the virus with a virus, but it affects itself more than we do! Odd: Samantha would be a very honourable retirement, no? Odd: When I hear the screeching of the Megapod's tires, it makes me shiver… I love you, giant sphere!!! Ulrich: XANA attacking Tyron, that makes us question everything, it's incomprehensible! Odd: Ok. Now that's something I've never seen. It's the apocalypse in the Cortex!! !